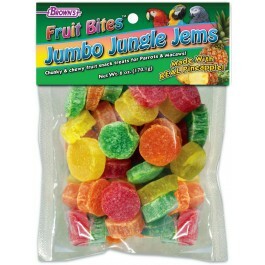 Fruit Bites™ Jumbo Jungle Jems are zesty, chunky, chewy snack treats bursting with fruity flavors your pet will crave. 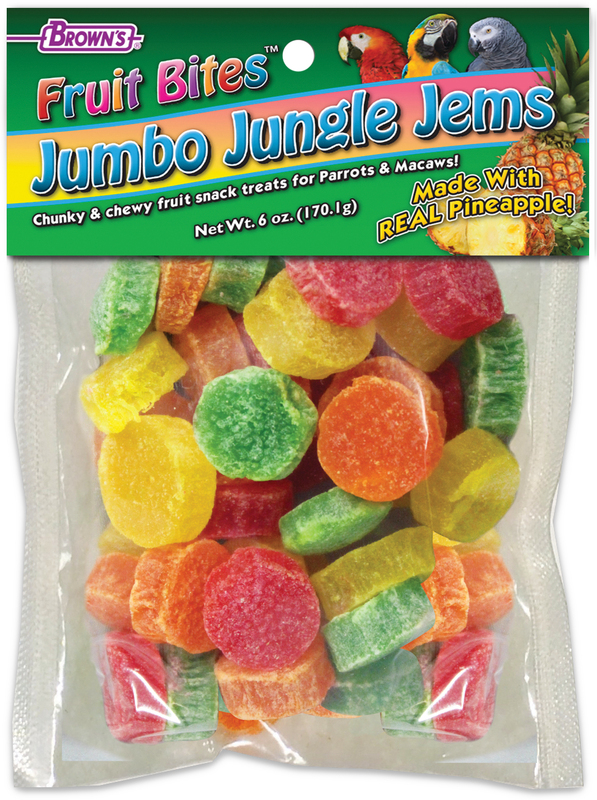 Fruit Bites™ Jumbo Jungle Jems are zesty, chunky, chewy snack treats bursting with fruity flavors your pet will crave. Parrots & macaws will find these real pineapple treats irresistible. They can be fed as a snack, training reward, or mixed with their daily diet for a very special meal! 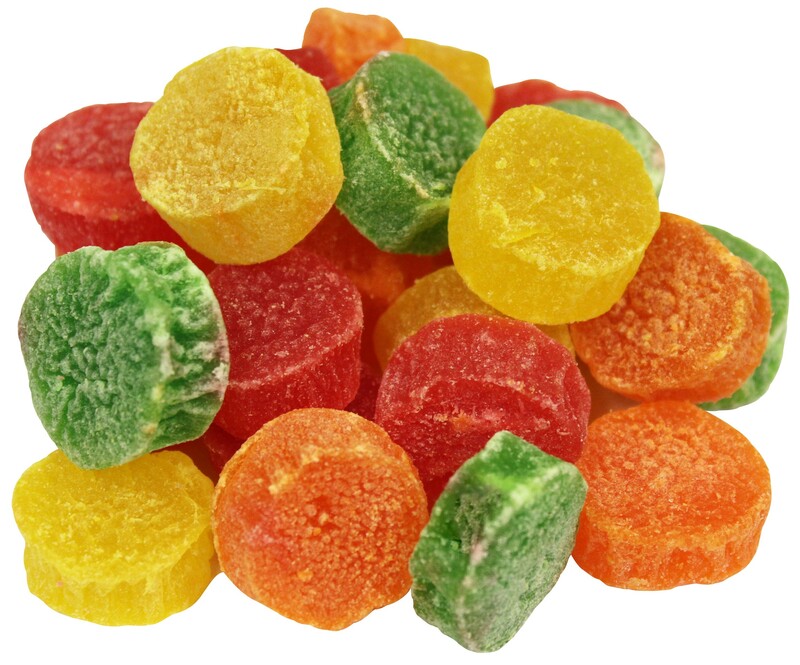 Pineapple, Sucrose, Artificial Flavors, FD & C Yellow #4, 5 & 6, Blue #1 and Sulfur Dioxide.